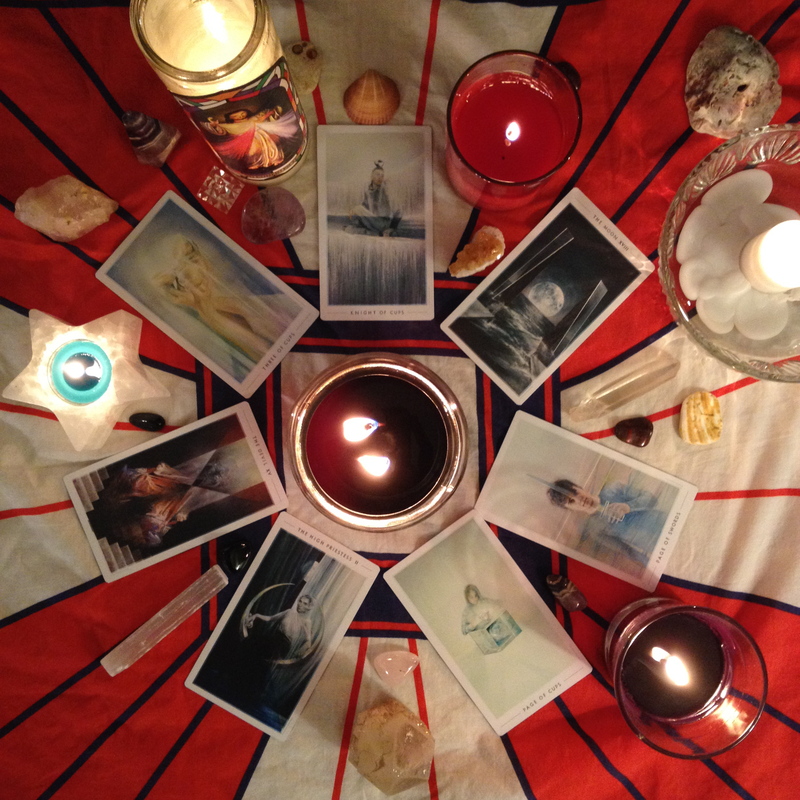 For all of July, I’ve been taking part in La Reine de L’air‘s Obscure Sorrows Tarot Challenge on Tumblr and Instagram. It has been very eye-opening to say the least! I was approaching it from a detached place at first because I wasn’t quite ready to dive right in to Shadow Work for the Summer but as it has been progressing, the sunny Summer is getting pretty shadowy! 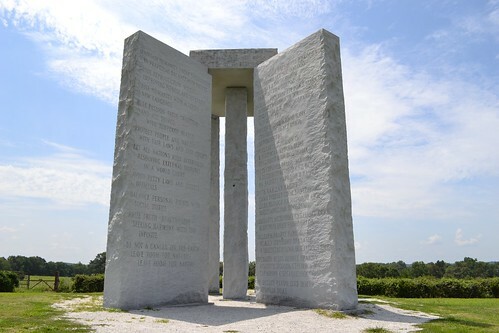 Since I chime in on the Q the A podcast from time to time, I thought it would an appropriate Q the A field trip to one of Georgia’s mysterious landmarks: the Georgia Guidestones. I asked if Eon K. Grissom and his lovely (pregnant) wife would accompany my boyfriend (Eon’s wife’s brother) and I to the Guidestones for a fun trip a couple of hours north to which they totally agreed! While I was looking up further info on the Guidestones – who am I kidding, I was on Tumblr – I saw a post about a tree that owns itself in Athens, Georgia, which I figured we could see on the way back from the Guidestones. This is my first time doing the Star of the Magi Spread. I had seen it on Seven Card Spread and fell in love with the layout but I hesitated using it because I’m not a projections kinda fan. I save my Daily Draws (if I do them) for the evening so that I can reflect on the day instead of focus on energies that may or may not manifest according to which cards I pull. I will pull them early if I’m called to but those days are very few and far between. 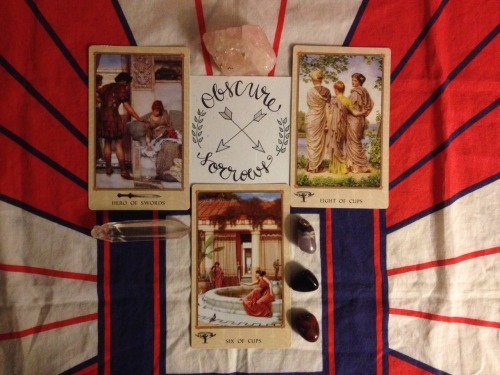 Somehow, I felt like my Fountain deck was calling me to engage it in this beautiful spread on July 12 and I’m so glad I did it! It was quite beautiful and I left it out on the coffee table for me to look at while I get ready for work the next morning! Hello everyone and welcome to my new little blog home: Balance These Scales! I’m always so awkward about introductions but here I go anyway! My name is Katzi. I’m a Video Editor and Motion Graphics Artist by day and by night, I’m a crafter, wanderer, TV-watcher (I like to call that “research”), and a tarot reader! My journey into tarot has been very strange, I think. Continue reading Welcome!